Garden Making at Bushwick Inlet Park continues! Time to mulch & protect newly planted Bayberry Bushes & Beach Roses. 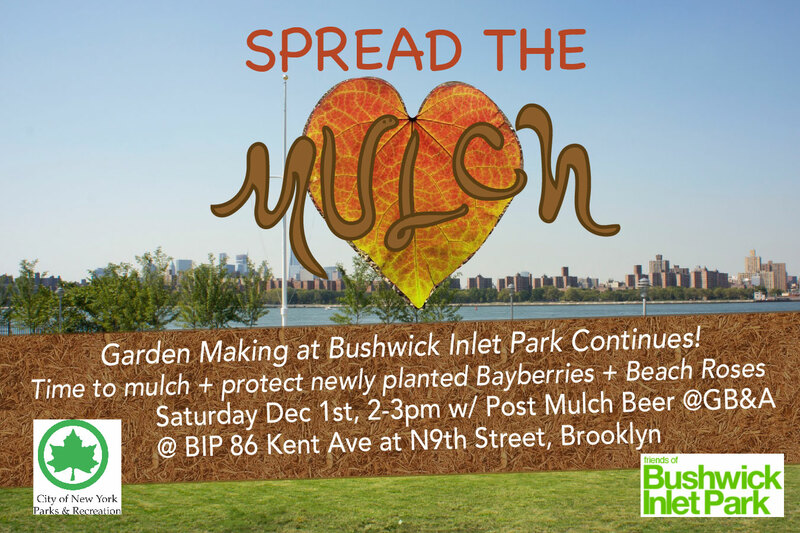 Saturday Dec 1st, 2-3pm with Post Mulch Beer at Greenpoint Beer & Ale. 86 Kent Ave at N9th Street, Brooklyn. Support provided by NYC Parks & Recreation.